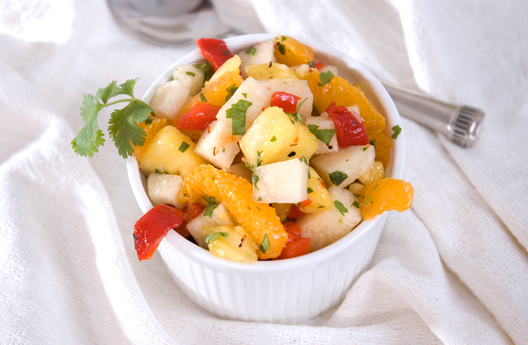 This recipe is a fantastic way to enjoy our Roasted Bell Pepper Strips and Sliced Tamed™ Jalapeños. It also reveals Emily’s fail-proof method for baking the perfect sweet potato. 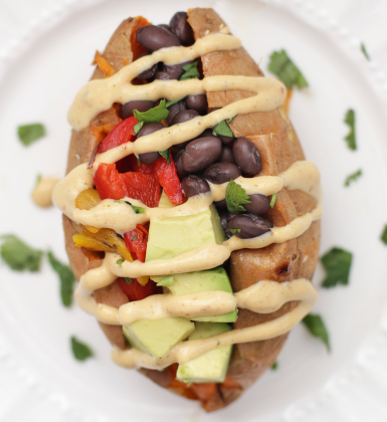 Read One Lovely Life’s post, 6 Amazing Ways to Stuff a Baked Sweet Potato for more creative ideas. Note: There are no measurements to track, all you have to do is stuff your potato according to your individual tastes. 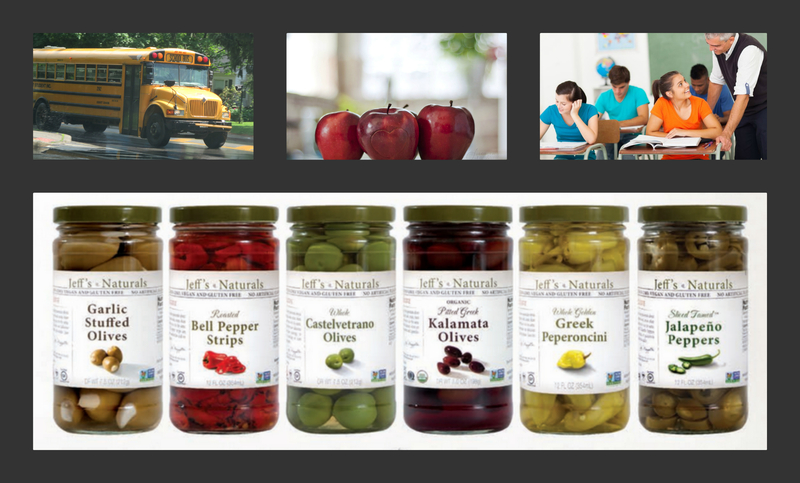 No matter how seasoned you are as a parent, sending the kids back to school is almost always an event. 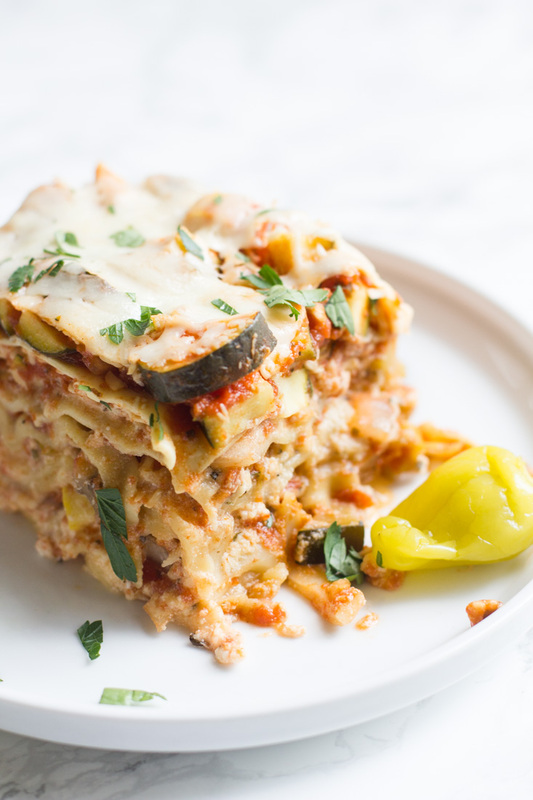 Between settling into a new routine, packing lunches, shopping for back to school clothing and supplies, sifting through homework assignments and permission slips, and attending new school meetings, it can be easy for busy parents to neglect the dinner table! Even through the next few weeks are probably going to be hectic for many of us, it’s important to make the time to prepare healthy meals and snacks that will fuel active bodies and minds! Wraps and paninis are a great way to put a healthy kid friendly meal on the table in a matter of minutes. 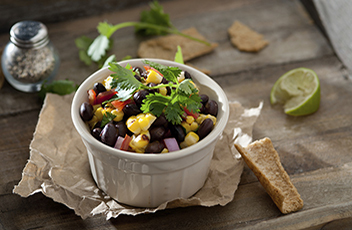 Here are some fast and tasty back to school recipes to “wrap” your head around! In a small bowl, use a fork to mix the feta, yogurt, garlic, lemon juice, mint, oregano, and ground pepper to make a chunky paste. Cut a thin slice the length of the cucumber to create a flat surface, then rest it on the flat side and cut the cucumber lengthwise, as thin as possible, into long strips. Lay out the 4 lavash on a flat work surface with a long side facing you. 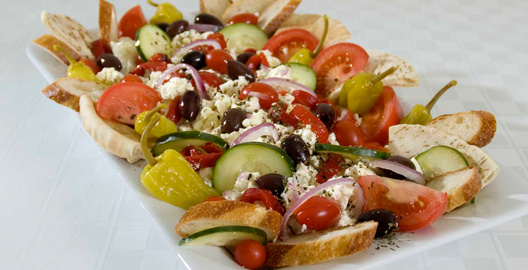 Spread the feta mixture evenly over the breads, leaving a 1-inch border at the tops and bottoms. 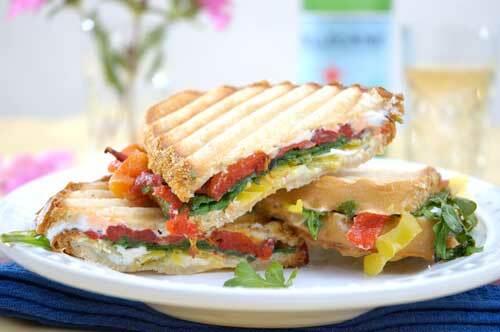 Distribute the cucumber slices, roasted peppers, artichoke hearts, peperoncini, and olives over the breads. Distribute spinach leaves over the filling. Fold the border of one lavash from the side closest to you over the filling, then continue to roll tightly until you reach the other side. Repeat to make 4 lavash rolls. Cut each lavash in half on a bias to make 2 sandwich halves, placing the halves seam-side down on a plate. To make ahead, wrap each roll tightly in plastic film and refrigerate up to 8 hours before cutting and serving. While the above mixture sautés, preheat the Panini press, slice the focaccia bread into 4 pieces and cut in half to create a top and bottom. 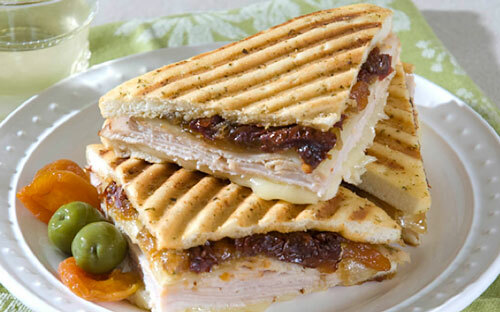 Layer the turkey and provolone on the bread. Evenly divide the apricot mixture between the four sandwiches. Brush the tops of the focaccia bread with olive oil and press the sandwiches in the Panini press for 4-5 minutes, or until the cheese has melted, and serve. Prep Time: 5 min. Total Time: 10 min. 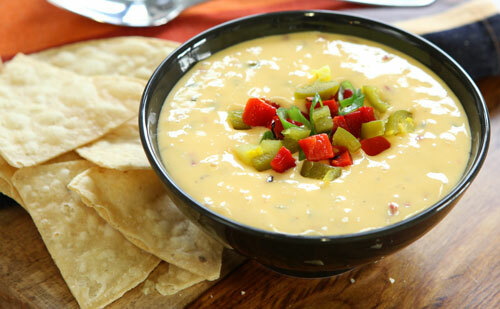 In a large bowl, mix the chicken, cheese and Jalapeño Dip together. To assemble the wraps, divide the chicken mixture on the tortillas, top with green onion, tomatoes and lettuce. Wrap up and enjoy! Mix all ingredients together. Serve warm or cold with crackers or a sliced baguette. 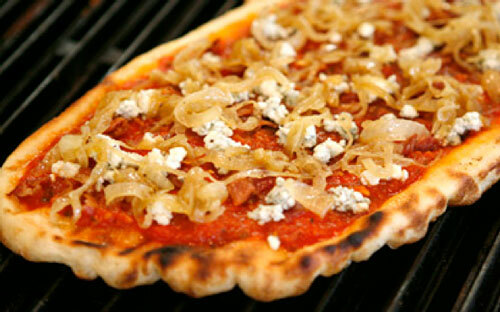 Generously spread one slice of bread with fresh goat cheese. Add roasted red pepper strips, peperoncini, kalamata olives and baby arugula leaves. Top with second piece of bread and press together.